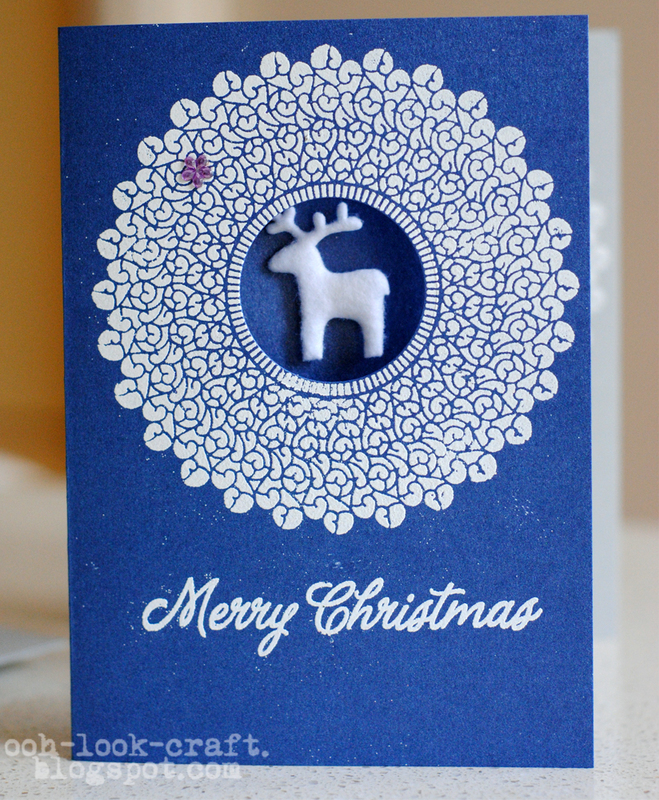 This year's Christmas cards were finished with a bit more time to spare than usual. 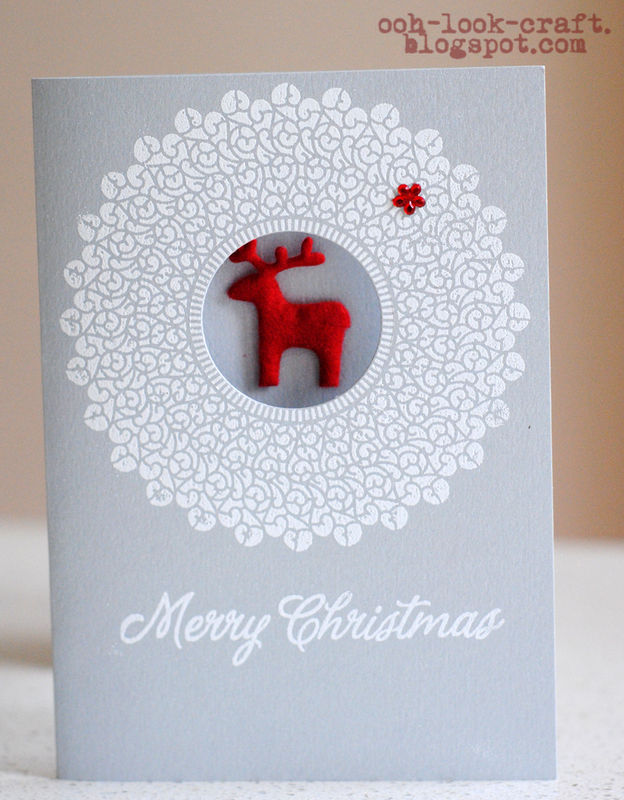 Of course, I spent the requisite hours days covered in bits of paper and embossing powder before deciding on a design. This design was inspired by a card on the Hero Arts site which had a circle cut from the starburst lace on the front with a stamped reindeer peeking out. I had picked up some little felt reindeer decorations last year from Borders and fortunately came across them, hidden in a drawer, and was able to use them on the cards. oh my gosh...you cook and make incredible crafts too?! 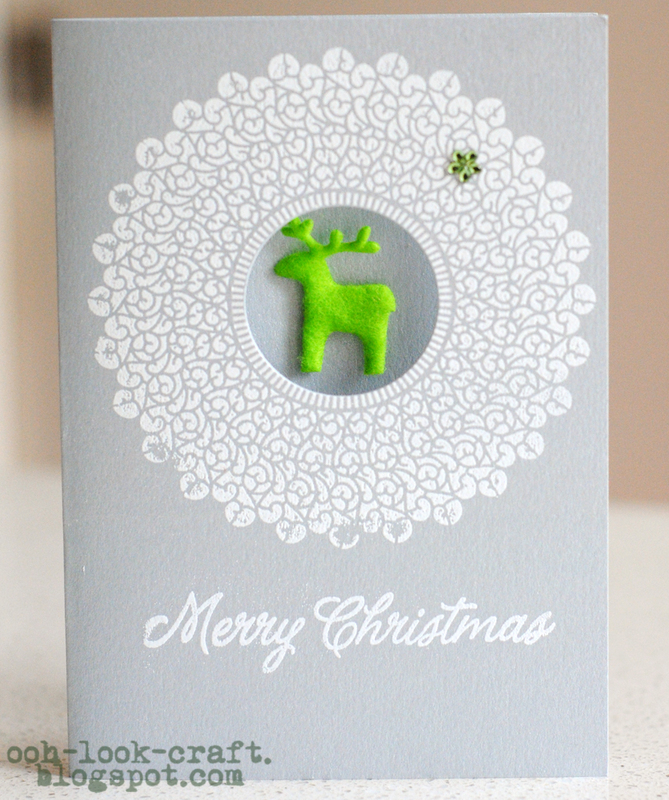 if i receive a card like that for x'mas id totally be hanging it on my wall! 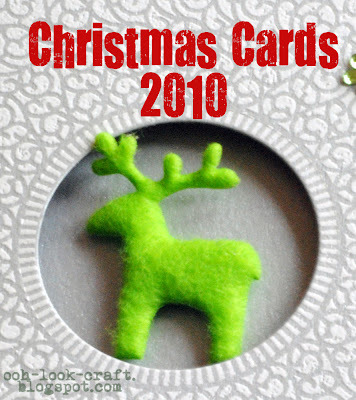 i love the one with red reindeer!